“Residents age 65 and over grew from 35.0 million in 2000 to 49.2 million in 2016, accounting for 12.4 percent and 15.2 percent of the total population, respectively,” the US Census Bureau reported. The influx of older Americans is largely due to the fact that the Baby Boomer generation began turning 65 in 2011. The number will increase even more as individuals of this large generation continue to grow older. Unfortunately, with our aging society, there is a possibility that nursing home abuse cases will also rise in numbers. Within paid care environments, abuse or neglect occurs for a number of reasons. Most commonly, elder mistreatment is a direct result of care facilities with “poor practices,” such as insufficient training, lack of staff support, and inadequate resources. These institutional deficiencies typically lead to abuse, because the facility cannot provide enough attention or the level of care their residents require when they lack manpower and knowledge. 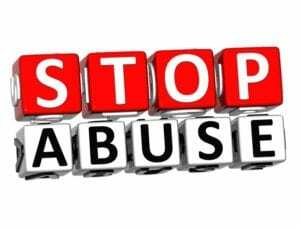 In addition to insufficient processes, elder abuse can also happen because of the sheer cruelty of a single individual attempting to exploit their power over an older individual for their own personal gain. In these cases, an elder’s finances are usually taken advantage of. Stewart Bell, PLLC has devoted a significant part of our practice to protecting the rights of elderly citizens. We serve the Dunbar area as well as communities across West Virginia with a goal of helping families not only restore the safety of their loved ones but holding the negligent facility financially responsible for their inexcusable actions. We hope no one discovers their elderly loved one has been a victim of abuse, but unfortunately, it happens more than anyone thinks. If you have experienced this kind of tragedy, our legal expertise in this field can help you know what to do next. If your elderly loved one falls under any of these categories, they are more likely to be abused. To ensure their health and safety, it’s important to visit and talk with them frequently to observe the level of care they’re receiving. 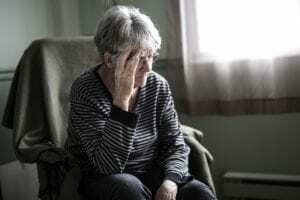 Furthermore, if you believe your beloved elder has been mistreated because of their vulnerable condition, you should notify authorities immediately and contact an experienced attorney at Stewart Bell, PLLC to assist you with a potential lawsuit. Planning for their future. 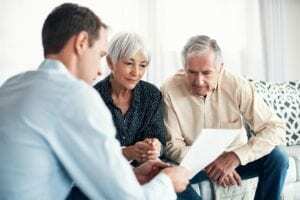 With a power of attorney or a living will, health care and financial decisions can be addressed in order to avoid confusion or problems later on. Seeking independent advice from someone you trust before you or your loved one sign any documents. Often times, caregivers can manipulate elders for their own benefit, so enlisting trustworthy guidance is crucial in preventing financial exploitation. Staying connected with friends and family. Visit your loved one on a regular basis and ensure they’re being as active as possible. This will decrease the chances of social isolation, which has been linked to cases of elder abuse. Understand your rights. If your family member lives in a paid care environment, you have the right to voice any preferences and concerns. Speak with a long-term care ombudsman. They are advocates for residents of care homes and can provide valuable advice on how to get quality care for your loved one. They are also trained to assist when you have a problem or complaints about current care. At Stewart Bell, PLLC, we believe individuals or facilities that harm elderly citizens who, many times, cannot defend themselves must be stopped and held accountable for the immense damage their actions cause. That’s why we’re passionate about providing aggressive legal representation to Dunbar victims and their families. Through our many years of combined experience, we know how to present your case effectively in settlement negotiations or the courtroom. In an incident of this nature, you need a law firm that specializes in handling the unique challenges of elder abuse or neglect cases. When you choose Stewart Bell, PLLC to represent your case, you will not only get an attorney that strives for maximum compensation to cover damages but a client service experience from our entire office that is nothing short of compassionate and empathetic to your particular situation. We’re determined to secure the health, happiness, and safety of your elderly loved one. If you’re in the Dunbar area, don’t hesitate to contact Stewart Bell, PLLC. We can help you stand up to nursing home abuse.